Hopping on the bandwagon for this look and trying out trends I didn’t think I would be a huge fan of. 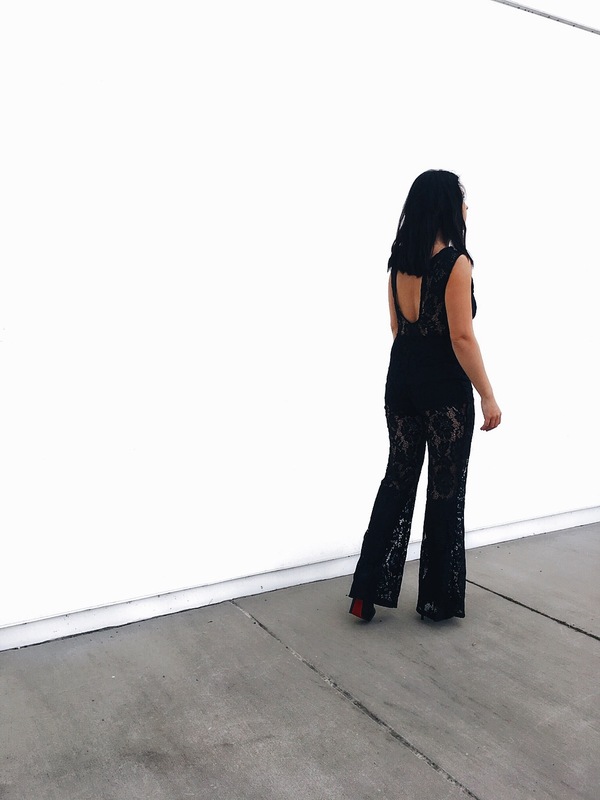 Starting with the sheer lace jumpsuit. Not to forget to mention the wide leg and open back which is so chic right now. I’m so loving the sheer trend and I’m happy I gave it a try. I wish this jumpsuit was actually all sheer because the built in bodysuit didn’t suit me well. As for the it shoe style, I’ve been seeing a ton of platforms. Being only 5’3″ this is great for me. I selected the only platforms I own, I know crazy but I’ve never really been a huge of the style. Wearing the boot added an extra peek-a-boo factor with the see through pant leg. Platforms yes or no for you? Such a beautiful outfit. You look absolutely chic! Omg, slay in this jumpsuit girl! that lace jumpsuit is so good! loving it!